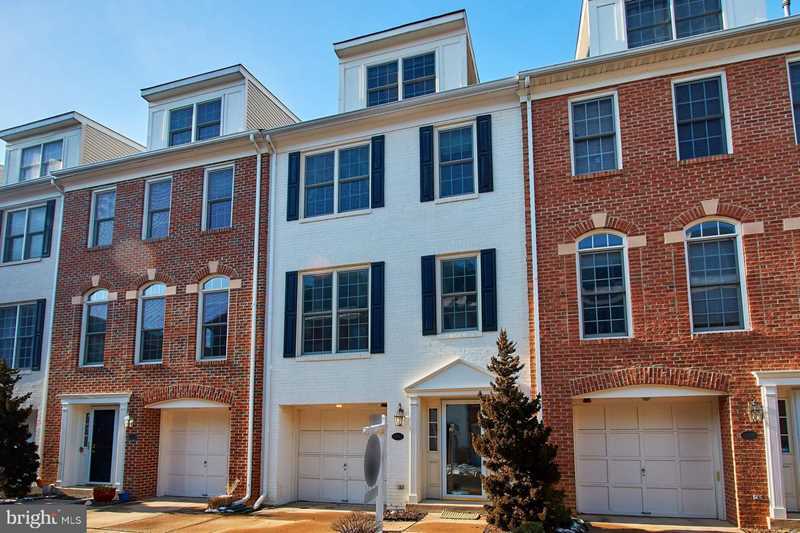 Gorgeous 4 level townhome with 1 car garage. Great location, walk to Ballston Metro, Ballston Quarter, restaurants, Harris Teeter, & more! Features include 3 bedroom, 3.5 bath, attached 1 car garage, eat-in kitchen, rec room with built-in Polk Audio surround sound speakers, 50" flat screen conveys, hardwood floors throughout main level, private patio, and vaulted ceilings in Master Bedroom. All Windows Replaced and 1 AC unit (2014), added 4th level bath, updated master shower(2018) state-or-the art Washer/Dryer(2017). Smart Home Features: Ecobee 3 smart thermostats, Kevo smart lock, Ring video doorbell, all smoke/Co detectors are networked w/Roost batteries, Leviton Z-wave switches for most lights and more. Move in ready! Directions:From Glebe and Carlin Springs: Turn on Carlin Springs, Left on N. Thomsas St., Right into development. Unit J is on the right side. There are 3 visitor parking spaces (2 at front end or parking lot and 1 at the back). SchoolsClick map icons below to view information for schools near 504J Thomas St Arlington, VA 22203. Home for sale at 504j Thomas St Arlington, VA 22203. Description: The home at 504j Thomas St Arlington, VA 22203 with the MLS Number VAAR123898 is currently listed at $890,000 and has been on the Arlington market for 71 days. You are viewing the MLS property details of the home for sale at 504j Thomas St Arlington, VA 22203, which is located in the Thomas Street Mews subdivision, includes 3 bedrooms and 4 bathrooms, and has approximately 2406 sq.ft. of living area.